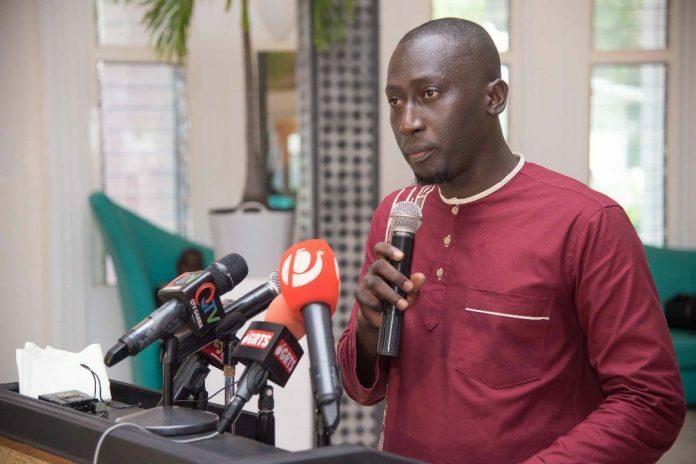 The Global Youth Innovation Network – Gambia’s Rural Youth Award National Organizing Committee members on Wednesday paid a courtesy call to the executive director of the National Youth Council, Lamin Darboe to inform him about the upcoming third edition of the awards 2019. The awards provide financial support to deserving agribusiness players to not only grow their businesses, but serves as an encouragement for them and others to stay in agriculture and contribute to increasing food security, and at the same time enjoy the benefits of running their own businesses. The 2019 awards winners’ are to receive cash prizes of D35, 000.00 each plus a six-month mentorship. Speaking at the courtesy call, the GYIN Gambia’s Executive Director, Mamadou Edrisa Njie who accompanied the National Organising Committee (NOC) said the visit is meant to introduce the organizing committee to the council and to seek their blessings. “We cannot do anything from now on without seeking for your blessings, advice and support as the National Youth Council that is responsible for youth matters in the country,” he said. The awards, he informed him, will focus on agribusiness and scheduled to be held on 25th-27th April, 2019 in Wuli West, Upper River Region. Giving the rationale behind the Awards Night, Entrepreneurship training and Career Fair, Njie noted that rural youths are generally known to be low income earners and recognizing their successes in agribusiness and entrepreneurship could serve as a model for the majority of others who are yet to enter into start-up ventures and open up doors for access to finance. He thanked the NYC particularly Mr. Kebba Sumareh, NYC Driver who is always ready to work with GYIN Gambia to achieve its continuous support to the networks – GYIN Gambia’s activities since inception, especially during the previous Rural Youth Awards. Also speaking, the chairperson of the award NOC, Sarjo Jarju assured the NYC that this year’s award will be celebrated with a difference considering the awards cash prizes and the venue for the event-Wuli West, where most young people are not benefiting from youth development packages. “We will do all it takes to organize a successful award night, all we need is your support and prayers,” he said. Welcoming the team in his office, the NYC executive director, Lamin Darboe thanked GYIN Gambia for taking the initiative to recognize rural young people and their efforts. He said: “Our rural youth deserve all the support. Let us reach out to them, NYC may not able to do it all but together we can do it,” he said. He welcomed the initiative of holding the award in Wuli, while calling on GYIN Gambia to continue exploring and empowering rural youth. “I am very much personate about rural people, we must all commit ourselves to contribute to the development of rural people and give them the opportunity to develop,” he said. He advised GYIN Gambia not to be distracted on their various rural activities, while assured them of NYC and his personal support to making the award night a success.